Brine Tanks for Water Softeners and KMnO4 Feeders | Applied Membranes Inc.
Brine tanks are used for salt regeneration for water softeners, and Potassium Permanganate feeders regenerate manganese greensand iron filters. Blow molded from durable materials and latest in plastic processing technology provide trouble-free performance. 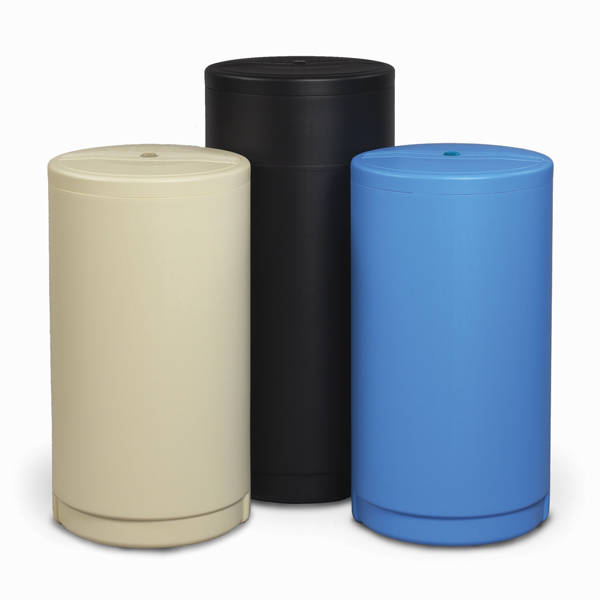 Blow molded from high-density polyethylene to give exceptional environmental stress-crack properties providing years of trouble-free service. 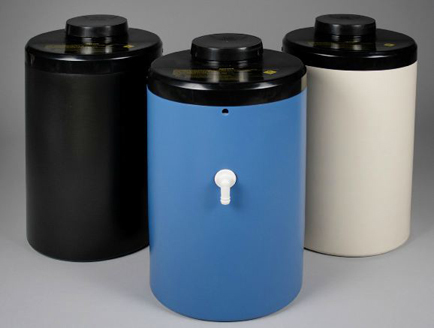 All round brine tanks are individually shipped in a durable 150# test reshipper carton. Optional injection molded grid promotes uniform brining and reduced salt bridging. Assembled with well, lid, brine valve, and grid plate. Standard color is black. Available in other colors upon request. Windsor Hi-Profile Series accommodates most control valves. 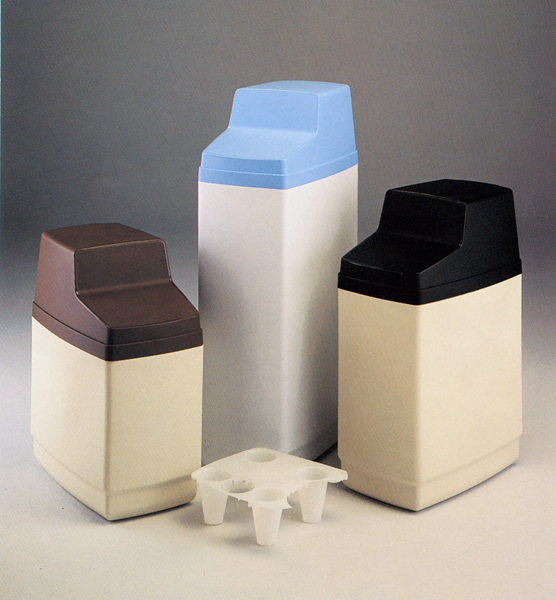 Assembly includes blow molded cabinet, one piece injection molded cover and salt lid. Designed to accommodate mineral tanks without bases or retaining plate. Features large salt port opening for easy filling. Standard color is almond base with black lid. Other colors available upon request. 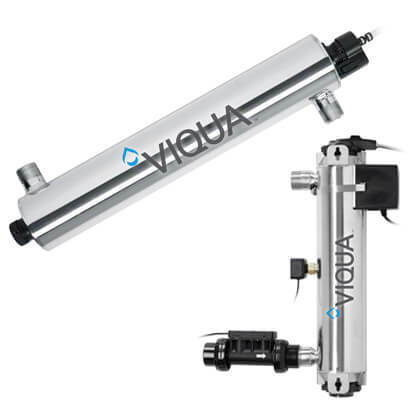 Individually packaged and tested and assembled with: non-pressurized tank, injection molded cover (fastened with screws), float valve, polypropylene grid pads, riser, and overflow. Tank composed of blow molded polyethylene with ultraviolet inhibitor. Standard color is Blue. Black and Almond available upon request. per case only – 20lbs total.